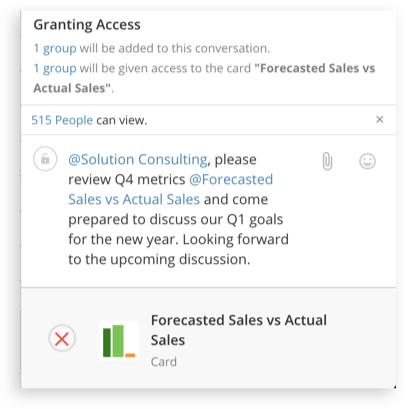 Groups are useful inside Domo because you can grant access to specified content or conversations to all members of a group. It also adds quick access for users inside Domo’s chat tool, Buzz, to mention a group of users which can then trigger notifications to each member. For example, you might create a “Marketing” group whose members have access to marketing-related dashboards. Or, you could create a “Solutions Consulting” group with access to specific message conversation inside Domo’s Buzz tool. Easily draw attention to a larger audience by sending a message to an entire group while in Domo’s collaboration tool. Learn how to integrate with Domo groups right away.